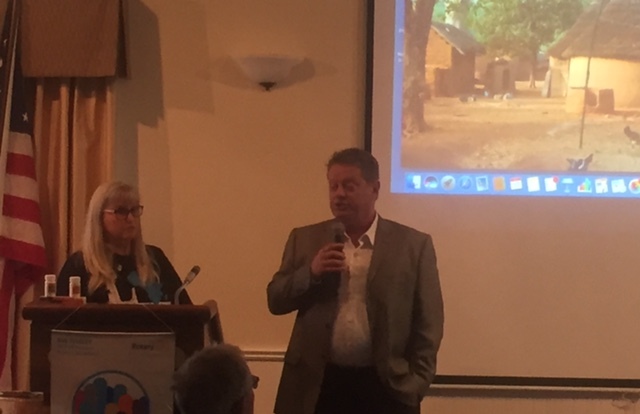 Our speakers today were Bruce and Mae Wood from the NGO 1040i, which provides healthcare, education, and clean water to the Doporo region of the Ivory Coast in West Africa. Last year our club gave a World Service grant to this worthy group, and there was much interest from club members for future support. Each February they travel to this remote region, requiring security escorts. They perform surgeries, run a pharmacy, and dispense much needed mild pain relievers. They demonstrated mobility carts, and shared how moving it was to see how they help those who need them. They also bring low cost water filter systems, which they demonstrated. 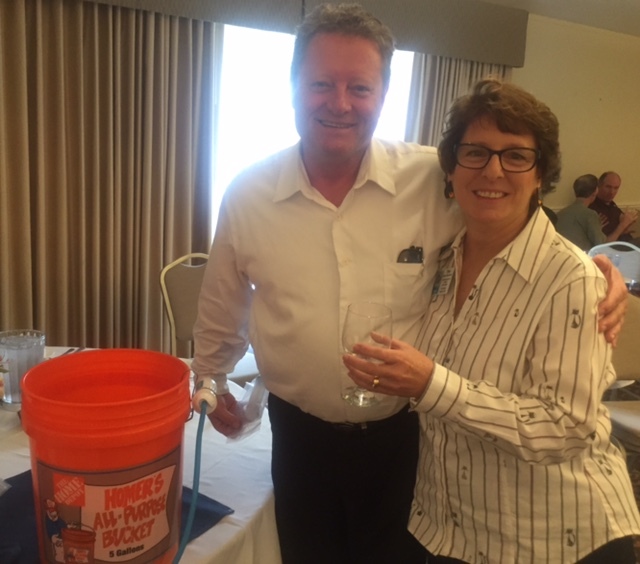 Many Rotarians saw the muddy before water, and took a sip from the post-filter water. They also solicit Tylenol, sunglasses, hats, used jewelry, and many other items. Our Community Service committee may be having a drive prior to their next trip, so stay tuned. 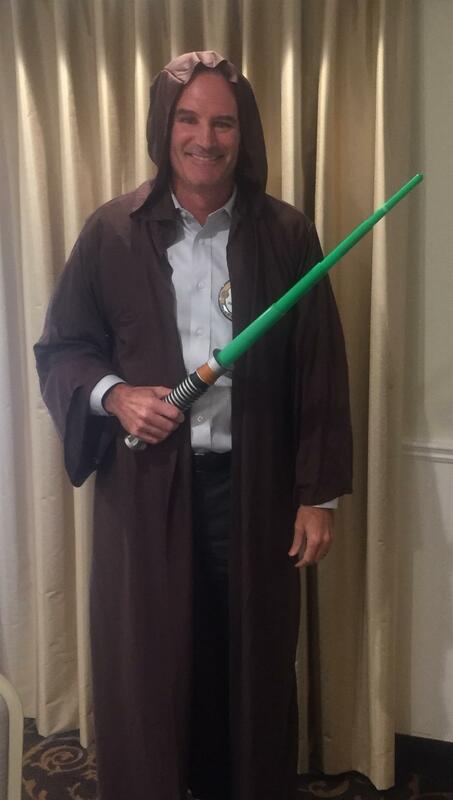 Mike Norcia entered in dramatic fashion dressed as a Obi-Wan Kenobi after the new highly anticipated Star Wars movie trailer. He announced the fall fundraiser this year will be to book the entire large screen at Los Gatos Theater on Dec 15 6:00 for the premier showing of "The Last Jedi". Price will be $35 before Oct 31, $40 after, and there may be a no-host happy hour downtown before the showing. Proceeds will go to the Ronald McDonald House. Gary Fisk gave his red badge bio. He is from San Jose, and went to Cornell studying International Relations and Political Science. He then returned to the Bay Area and fell in to an IT career, now in computer security. 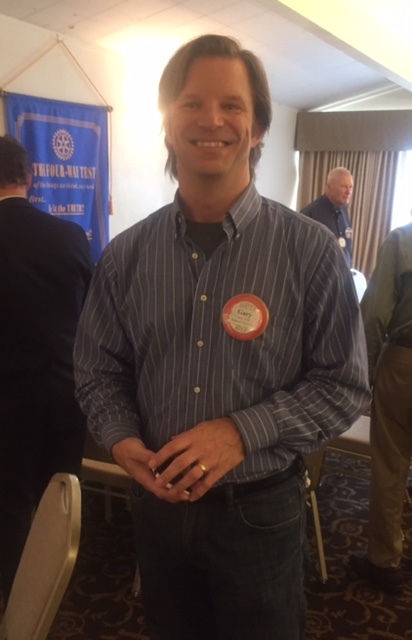 Living and working in the Santa Cruz mountains with his wife and pets, he has found a need to get out more, and admits he "may as well do something that helps". His humor was much appreciated and all were happy to welcome Gary. Pass the Hat was initiated for victims of the Santa Rosa fires. Suzanne has sent an email with details for those that still want to give. Mike Frangadakis announced there is a Veterans Memorial Open House Oct 26 3-8pm at the Rec Center that all are encouraged to attend. You can visit the site and review the design, and give support to this worthy cause. The next homeless brunch will be Nov 28. Tina will be taking donation assignments soon.